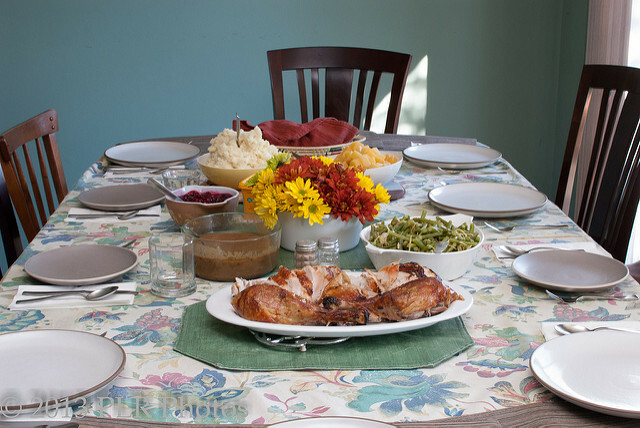 Each year at Thanksgiving, Immigration Impact publishes a post about how to “talk turkey” on immigration. We’ve done it for several years to provide our readers with tips on how to talk about immigration at the dinner table without inflaming friends and family, and otherwise turning a warm family gathering into a political food fight. However, this year, instead of advising our readers on what to say and offering pithy, family-friendly taking points, we’re recommending a different approach: listen more than you talk. This Thanksgiving, make it your goal to learn about how your friends and family feel about immigration and the other pressing issues they face. Go ahead and ask probing questions, but mostly listen with an open heart and mind. Let go of the certainty that you are right and resist the temptation to convince your family and friends of the error of their ways. This approach is critical because if we don’t listen are we really living up to our values? We advocate for an immigration system that embraces the core American values of treating people with respect, dignity, and fairness. But, when we fail to listen, are we really treating others with the respect, dignity, and fairness we demand for immigrants? Are we living the truth we espouse? I ask myself these questions as we head to the Thanksgiving dinner table, where we come together with those whom we love, but not necessarily those with whom we see eye-to-eye. We’ve all had those uncomfortable dinner table conversations—a disparaging remark about foreigners, a call for more immigration enforcement, a comment about how immigrants are stealing jobs, or a suggestion that if “they just got in line” and did it “the right way” everything would be okay. How do we respond? Do we shy away from the conversation or do we lean into it? And, if we choose to lean into it, do we try to convince the person that they are wrong and we are right? Do we rattle off facts and explain why the immigration system doesn’t work as intended, that it’s outdated and not meeting America’s needs? Or do we engage in actual conversations that are responsive to the genuine frustrations, fears, and concerns of others? This Thanksgiving, perhaps we can free ourselves from trying to convince anyone of anything. Instead, we can honor our values by listening. By respecting and dignifying others’ experiences and working to understand their perspectives, we can forge meaningful dialogue that may just result in some reasonable solutions to more than just our immigration problems. Commit yourself to listening and understanding. And of course, as we’ve said before, if things get too heated, have another piece of pie. It’s hard to argue with food in your mouth.